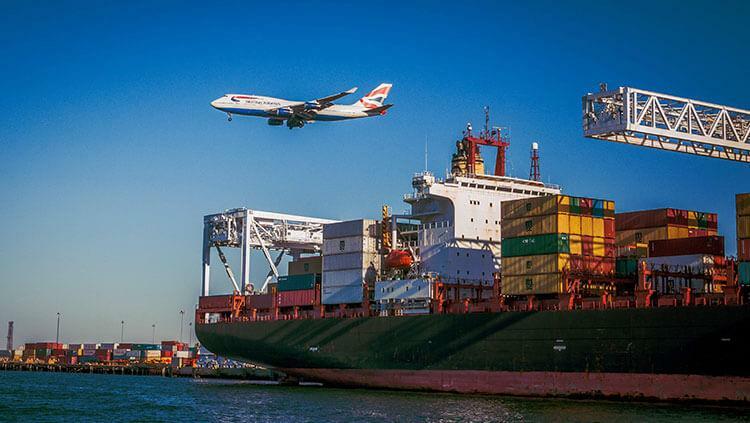 The British Government’s planning for a no-deal Brexit has brought procurement to the public’s attention recently, when it emerged that a shipping company with no ships has been awarded a freight contract worth £13.8m, should Britain leave the EU without a deal in place. The contract is one of three designed to ease some of the expected congestion at Dover and Calais in the event of a no-deal Brexit. As part of contingency planning preparations, the government has secured extra freight capacity to ensure that vital supplies continue to reach the UK, anticipating that enhanced border checks required by EU member states will create bottlenecks of food, goods and medicines. The other contracts were awarded to the French company Brittany Ferries (£46.6 million) and to Danish shipping company DFDS (£47.3 million). Worth £107.7 million in total, the contracts are expected to allow almost 4000 more lorries a week to travel to and from the UK, via ports other than Dover. The contract award to Seaborne Freight (UK) Limited has attracted widespread attention, given that the company currently has no ships, no trading history and no experience in operating a cross-Channel route. However, the company was formed two years ago with the intention of commencing a freight service from Ramsgate to Ostend this Spring – financed by shareholders to build crucial infrastructure and obtain vessels and crew. Work has commenced this week in dredging the historic port to enable large boats to access the dock. In addition, members of the board have experience in the sector, according to the Secretary of Transport, including in cross-channel ferry operations, port management, freight brokerage and vessel chartering. With no ships currently running the route, critics have queried how due diligence could have been satisfactorily completed, and the Government, the Department for Transport and the Transport Secretary, The Rt Hon Chris Grayling, have been subject to criticism from many sources. Grayling defended the decision, saying that the government was supporting new British business, that all due diligence had been carried out and that a tight contract had been implemented to ensure the delivery of services; further, that Seaborne will only be paid if it delivers to the full terms of the contract. According to the OJEU, the contract was awarded without prior publication of a call for competition, due to the “situation of extreme urgency” brought about by the imminent departure of the UK from the EU, and the prospect that this could be on a no-deal basis. The UK Government used a competitive process to procure the awards, in order to ensure that capacity can be in place in time for a No Deal exit. The BBC reported that a number of firms were considered during a private negotiation process. Alyn Smith MEP (SNP) has urged the European Commission to commence an investigation into the procurement process itself, concerned that the correct procedure has not been followed and that precedent could be set, with the contracts being used as templates for future procurement by the Government. During 2009 and the recession which followed, the reason of urgency was used in order to reduce the timescales in which bidders could respond due to the need to push funds into the economy. However, whilst an accelerated procedure was used for many tenders, full competition was still sought. Could another operator challenge the awards? Given the Notices were published on Christmas Eve, should anyone wish to do so within the 30 day limit they may find the timescale prohibitive. It could also be questioned whether the circumstances are strictly a “situation of extreme urgency” – with its attached narrow legal definitions – that the award is strictly necessary, that time restrictions forestall the possibility of usual procurement procedures, and that events causing the extreme urgency be both unforeseeable by and not attributable to the contracting authority. Those who might wish to challenge the decisions could possibly argue that the no-deal Brexit scenario does not meet these criteria. Is this just being seen as a Procurement Exemption by the government? Perhaps, although the reason of urgency rarely applies in such matters. More commonly, accepted reasons might include when the purchase is only available from one organisation with no satisfactory alternative, or when no genuine competition can be obtained, or when there is an existing EU-compliant agreement. A Department for Transport spokeswoman said “Before any contract was signed, due diligence was carried out both by senior officials at the DfT, and highly reputable, independent third-party organisations with significant experience and expertise, into Seaborne’s financial, technical and legal underpinning”. Questions have also been asked about Seaborne’s level of preparedness and professionalism, following the discovery that some of the Terms and Conditions on its website appear to have been copied from a food delivery service website, and with interactive portions of the website, such as login portals and language choices, being pasted images rather than actually being subject to use. Should a Brexit deal be negotiated in time, the Government hopes to sell back the additional freight space, although it is unclear who the buyers might be. Tender Library v2.0 is here!